SITUATED IN THE HIGHLY SOUGHT AFTER NASH MILLS WHARF DEVELOPMENT. This stunning one bedroom fourth floor apartment boasts stunning views of the Grand Union canal and beyond. 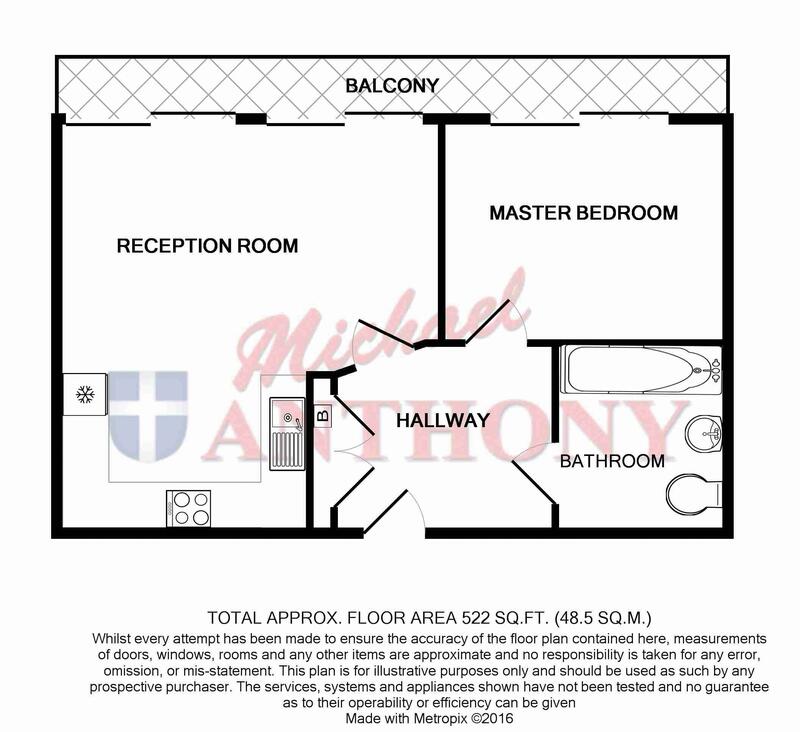 With a full width south facing balcony and briefly comprising. Ent hall. spacious lounge, luxury kitchen, double bedroom and luxury bathroom. Allocated parking space. WITHIN WALKING DISTANCE OF APSLEY STATION. Security front door to communal entrance hall. Stairs and lifts to fourth floor apartment. Hardwood front door to entrance hall. Entry phone system. Doors to large storage cupboard housing wall mounted gas boiler serving central heating and washing machine. Single panel radiator. Glazed door to Lounge. Two double panel radiators. Full width double glazed sliding patio doors to balcony providing stunning views of the Grand Union Canal and beyond. TV point. Luxury kitchen with a range of base and eye level storage units with work surface areas. Single drainer sink unit with mixer tap. Electric four ring hob with oven below, stainless steel splash back with canopy and extractor fan. Integrated fridge freezer and dishwasher. Tiled surrounds, extractor fan, recessed spot lighting. Double glazed sliding patio doors to balcony, single panel radiator. Three piece suite comprising of low level WC, wash hand basin with mixer tap. Panel bath with mixer tap and shower over. Tiled surrounds, shaver point, heated towel rail, recessed spot lighting.